Today I will show you how to create an SSH key in Ubuntu/Gnome/Linux and Windows and explain a little bit of why do we need such a key. 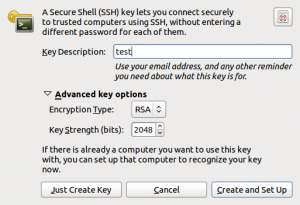 How does SSH key work? Well, let’s start with what is SSH! Now, let’s talk about SSH key. SSH key is used for authentication. 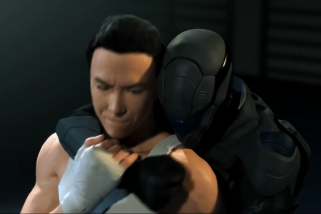 It uses asymmetric cryptography. You may ask, “Isn’t enough with username and password?” or “Why would I want to have a SSH key if I have my username and password?” Well for the first question the answer is NO. 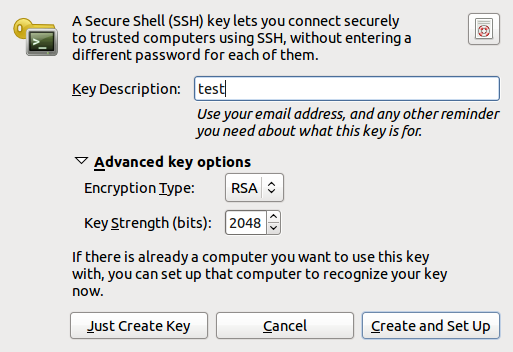 For the second question: You want to use SSH key because it is way more secure than normal user/pass authentication. HOW does SSH key works? It’s easy. Let me try to explain you as simple as possible. Every person has a pair of keys (a private and a public). Each key (the private and the public) can’t exist without the other. Meaning that if you don’t have the private key, the public key is useless and vice versa. As the words say, the private is ONLY for you. This is like “your password”! Nobody but you should have that key!! 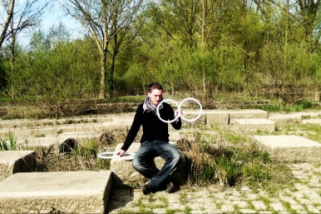 In the other hand, the public key can be shared with anybody you want. 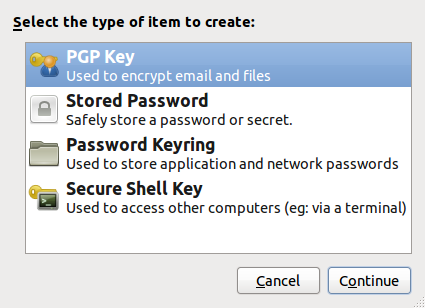 This public key is “installed” or “shared” in the remote computer you want to access in a secure way. Well, before SSH existed, Telnet was the pioneer service for remote connections. The problem with Telnet is that every single data you transmit over the Internet is in plain text!! That means that if someone is sniffing the connection between you and the remote connection, he will be able to know your password and more. So with the implementation of SSH, all of the data is sent encrypted, so that if someone is sniffing they won’t be able to understand what you are transferring. That didn’t answer the question why to use SSH key 😛 But the answer is as simple as: SO THAT YOU CANNOT GET A BRUTE ATTACK!!! 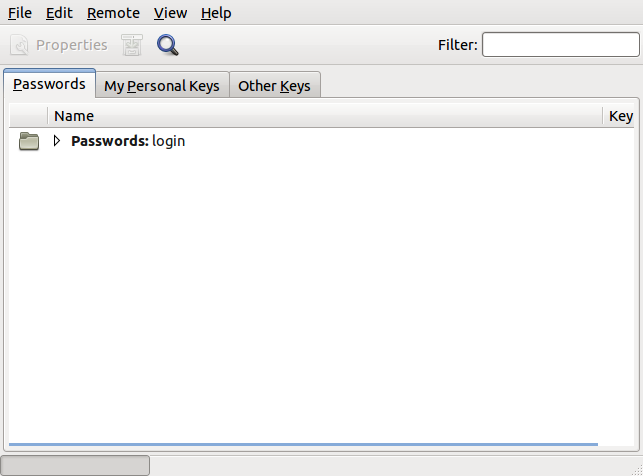 With SSH key it’s impossible to make a brute attack!! People could spend thousands of years trying with all kind of words, but they won’t be able to access because the SSH server will only grand you access if you have your correct pair of keys and not a password!!! Write a good password. Good passwords are at least longer than 7 alphanumeric characters. Remember that the better the password is, the more secure the ssh key will be!! It will ask you to write a host and a login name. Write any host and any login name. This will try to access the host you wrote, but it won’t be a successful connection because your public ssh key is NOT in the host. So just write whatever and ignore the following errors! 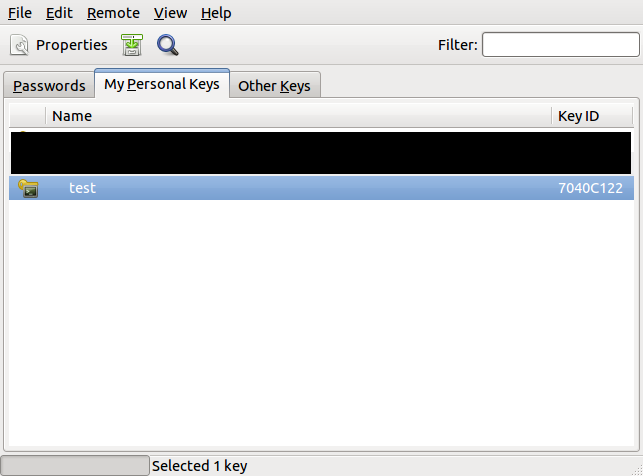 Go to “My private keys” and you will find out your new SSH key!! Congratulations!! You have your new own SSH key! Now right click it and export it! That file is your PUBLIC key! We will use that key and copy it in a server! Enter a passphrase and re enter it. Remember to write a complex passphrase! You will see your id_rsa and id_rsa.pub !! The first one will be your private and the id_rsa.pub will be the PUBLIC one! NEVER share your private key!! For Windows the easiest way to create a SSH key is with Putty. PuTTYgen can be downloaded in this link. Now we are ready for start using SSH in a really good secure way! NO MORE PASSWORDS!